In a nutshell this is where I intend to list the websites and web pages that publish any information about me; including my posts, recipes, interviews, projects, etc. Check back every once in a while to see where else you can read about me. People Magazine The online edition of people’s magazine stumbled across my kitchen hack series and used one of my tips as number 8 in their summer grilling hacks article. HolaesLola The online women’s magazine asked me to answer a reader’s question about whip cream, complete with video footage and everything. I think my delivery needs work…perhaps I am not meant for the lime light! 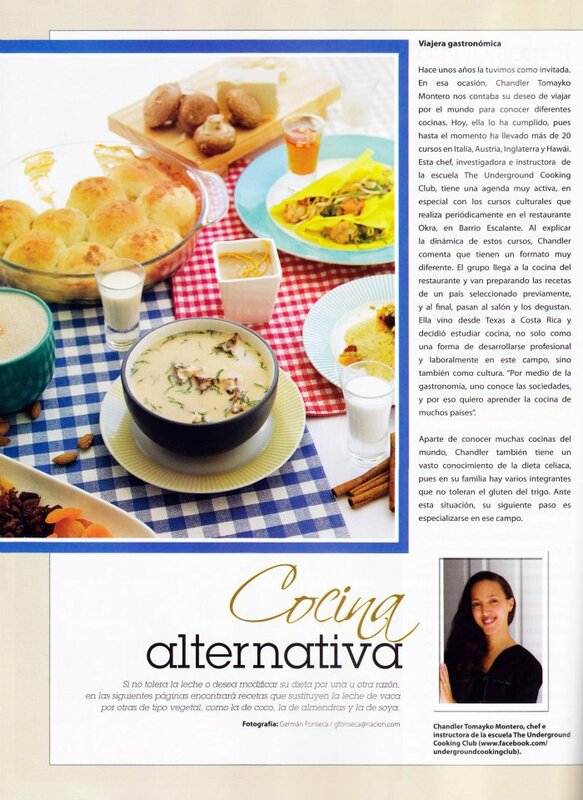 Magazine Recipes I have been published multiple times in the Costa Rican Sabores Magazine. Check out the list of recipes in their online database. Tea Course Post After writing about the Tea Appreciation Course I completed in London, Pei from Teanamu posted it in his latest press section. Macaroon Class I was delighted to find that Angela Malik’s School of Cooking enjoyed my post about their class. Sami Workshop The lovely Sami Italian girl I met at the Salone del Gusto was kind enough to mention my post on her blog. I will admit I had to use a translator to read it though! During my visit to the Salone del Gusto 2010, I met a reporter by the name of Lorenza Fumelli who included me in her article “Facce da Salone”. The greek cooking class teacher tweeted about my post. She also posted it to the class’ facebook page. Underground Cooking Club makes the news The Costa Rican newspaper Diario La Republica published an article about my cooking club. Costa Rica Press Release The online english newspaper, The Costa Rica Star published a press release about my school´s classes and events. Beer for Christmas The Costa Rican women’s magazine Perfil published a dinner menu I created with recipes using beer. KCC Post The Kapi’olani Community College has a link to my article on their continuing education page.